The WWE superstar laced up Derrick Rose's limited edition kicks for last night's Raw. 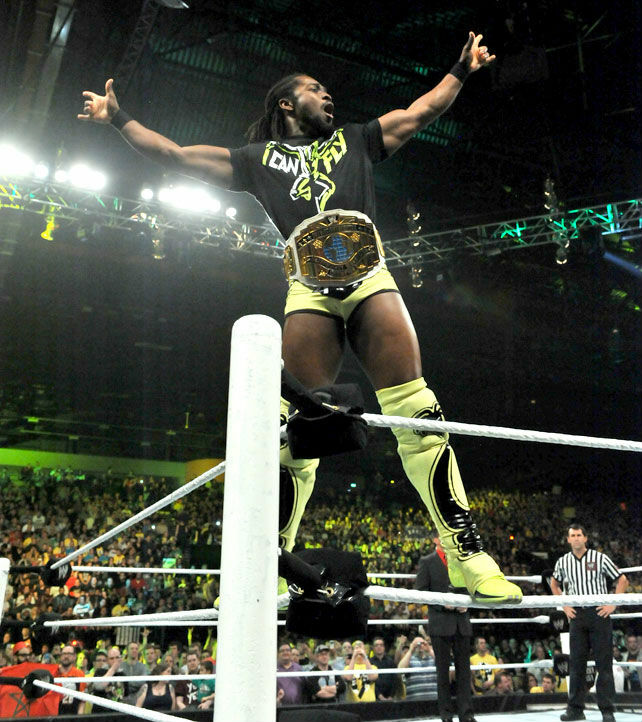 When the second installment of "Sneakermania" hits the web, don't be surprised to see plenty of entries from WWE superstar Kofi Kingston. The high-flying Intercontinental Champion is known for performing his acrobatic moves in brightly colored hoop shoes that match his ring attire and energetic personality. On last night's broadcast of WWE Raw from Birmingham, England, Kofi squared off against the "Mexican Aristocrat" Alberto Del Rio in a non-title match. For the bout, he competed in the limited edition "Chicago Fire" colorway of the adidas Rose 3, which is still available to purchase at adidas.com. 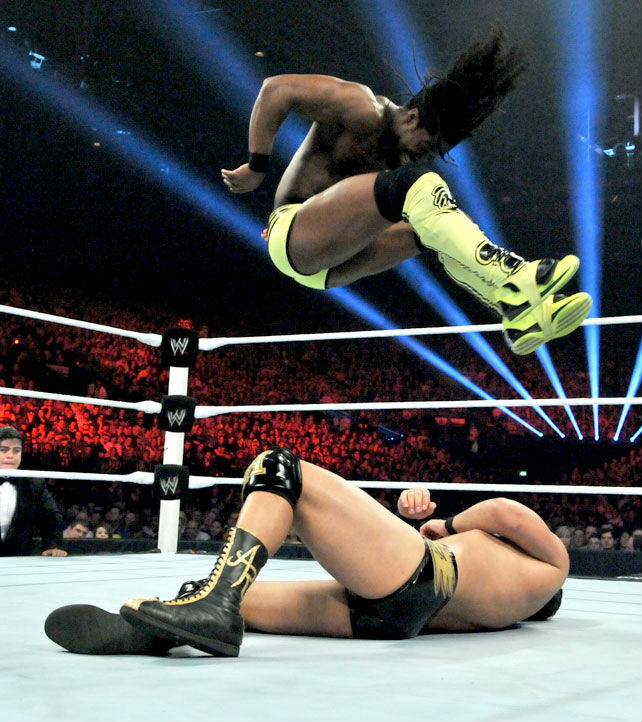 Read on for photos of last night's match between Kofi and Del Rio.